1 year in-home labor warranty. 2 year parts warranty. 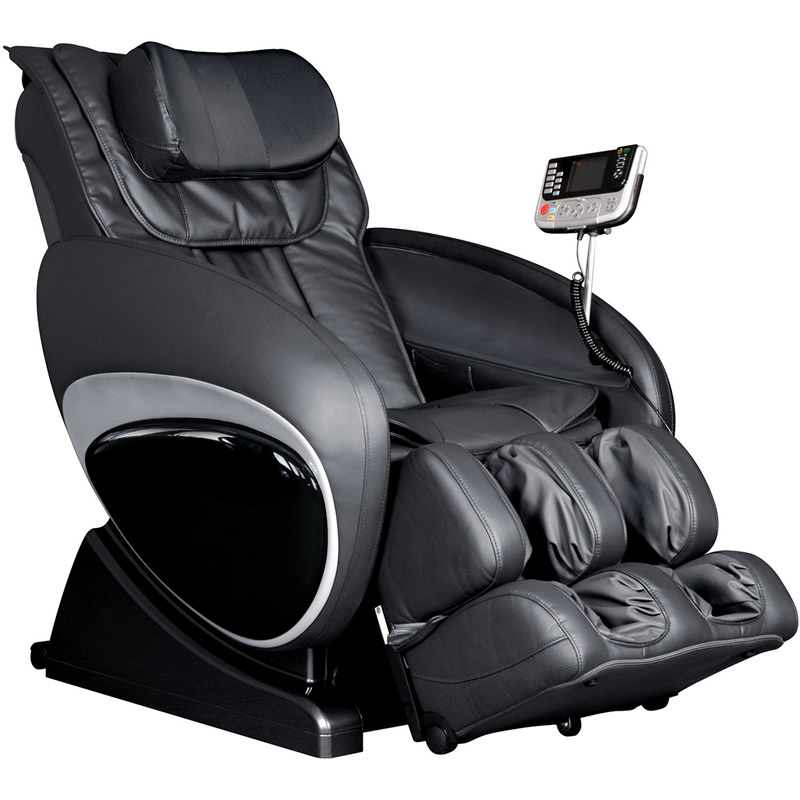 Model 16027 is a Cozzia Massage Chair with auto-scan technology that customizes a massage routine to your unique shape and needs. This chair also features Zero Gravity positioning, enabling users to elevate their knees, maintain a spinal position parallel to the floor, and reduce vertical pressure on the vertebrae to make relaxation easier. Boasting an S-shape backrest and automatic reclining, the 16027 is pre-programmed with six massage routines, five intensity levels, three width adjustments, and vibration and air pressure massage for the lower body. Timed massage lets you set the duration of your escape into pleasure anywhere from 5 to 30 minutes, and the chair can be powered down with the hand remote. Massage features include Swedish, Shiatsu, kneading, clapping, tapping, rolling, and vibration. Seat Height - From Floor: 21.7"
Back Height - From Seat: 31.5"
Rec. Min Height: 5' 4"
Rec. Max Height: 6' 2"
kat from Michigan would recommend this to a friend. I have had pain from a back accident for years and had my first message and really felt the results in my whole body love this chair would love to own one one day! Better then going to physical therapy I feel! No cons no complete at all! You would be amazed at this chair give it a try!